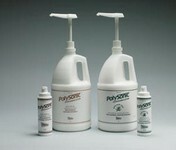 Pro Advantage Lubricating Jelly lubricates body orifices to facilitate the entry of diagnostic and therapeutic devices. It is greaseless, water soluble, and bacteriostatic. Available in single use packets and a flip top tube. Contents remain sterile in unused, unopened packages.